UNL’s Center for Digital Research in the Humanities is among 15 partners in a $3 million project that seeks to create new avenues of collaborative research, teaching and scholarship in the humanities. The Humanities Without Walls consortium is funded by the Andrew W. Mellon Foundation and will be administered by the Illinois Program for Research in the Humanities at the University of Urbana-Champaign. About $1.5 million is being shared with partnering schools through an additional competitive grant process. 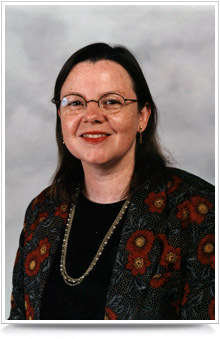 Katherine Walter, co-director of the CDRH, is overseeing the project at UNL. Humanities Without Walls was created with a mission of “forging and sustaining areas of inquiry that cannot be created or maintained without cross-institutional cooperation,” according to a statement from the University of Illinois at Urbana-Champaign. Humanities Without Walls includes 13 universities from the Committee on Institutional Cooperation, a consortium of the Big Ten member universities plus the University of Chicago. The project has two prongs. The first is “The Global Midwest,” a research commitment that aims to establish the Midwest as a force within today’s globalized society, as well as demonstrate how the applied humanities continue to aid in solving global challenges. The second is a series of workshops for doctoral students to prepare them for careers outside of academia. Walter served on the planning committee for more than a year before the project was officially funded. She said UNL would receive a modest seed fund from the partnership to promote new cross-institutional projects. This fall, Humanities Without Walls will select and fund new scholarly research projects that foster a collaborative, multi-institutional approach. Walter said that a smaller, internal competition grants would be announced in August. Dianne Harris, director of Illinois Program for Research in the Humanities, is the project’s principal investigator. The other partners are Indiana University, Michigan State University, Northwestern University, Ohio State University, Penn State University, Purdue University, the University of Chicago, the University of Iowa, the University of Michigan, the University of Minnesota, the University of Wisconsin-Madison, the University of Notre Dame, the University of Illinois at Chicago and UNL.